Includes Volumes I and II. 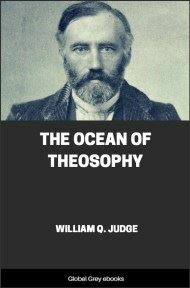 A classic in theosophical literature. This collection of Judge's letters has inspired many seekers on the Path. In clear, compelling language, the author shows that in the search for spirit, the need is not to escape the world but to help transform it through constant efforts to be compassionate, resolute, and wise in daily life. 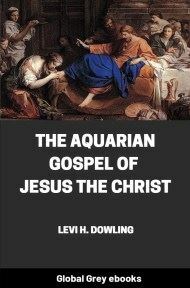 Volume I includes; Preface To Volume I; Letters 1-9; and, Letters 10-15. 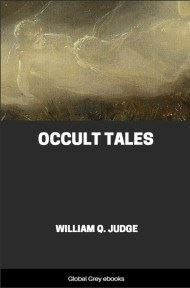 Volume II includes; Foreword To Volume II; Letters 1-8; Letters 9-23; Extracts; An Occult Novel; and, William Quan Judge (a short biography). The experience of one student is, on the whole, the experience of all. Details differ, however. Some are made more instantly rich than others: they are those who put forth more vigorous and generous effort; or they have a Karmic store which brings aid. What Theosophists know as Karma, or the law of spiritual action and reaction, decided this, as it works on all the planes, physical, moral, mental, psychical, and spiritual alike. Our Karma may be worked out on any one of these planes when our life is chiefly concentrated upon it, no matter upon what other plane any special initiative impulse or branch of it originated. 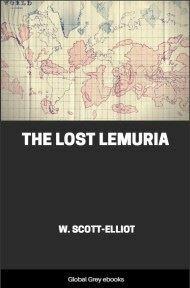 The writer, when first he became a theosophical student, had the aid of an advanced occultist in his studies. This friend sent him, among others, the letters which, in the hope that they may assist others as they have the original recipient, are here published. They are not exhaustive treatises; they are hints given by one who knew that the first need of a student is to learn how to think. The true direction is pointed out, and the student is left to clarify his own perceptions, to draw upon and enlarge his own intuitions, and to develop, as every created thing must at last develop, by his own inward exertions. Such students have passed the point where their external environment can affect their growth favorably. They may learn from it, but the time has also come to resist it and turn to the internal adjustment to higher relations only. The brevity of these letters should not mislead the reader. Every statement in them is a statement of law. They point to causes of which life is an effect; that life arising from the action of Spirit in Nature, and which we must understand as it is manifested within us before we can advance on the Path. "And the power the disciple shall desire is that which shall make him appear as nothing in the eyes of men." Such aid is never volunteered; it follows the Karmic behest, and, when given, leaves the student free to follow it or not, as his intuitions may direct. There is not a shadow or vestige of authority in the matter, as the world understands the word authority. Those who travel the unknown way send messages back, and he who can receives them. Only a few of the first steps are here recorded and the first impediments surmounted. No hints of magic lore are to be found; no formulas of creed or occult powers; the questions of an awakening soul are answered, and the pilgrim is shown where lies the entrance to the Path. 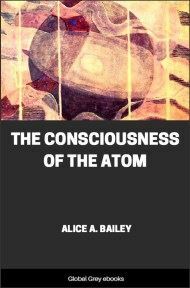 The world at large seeks the facts of occult science, but the student who has resolved to attain desires to find the true road. What may seem to others as mere ethics is to him practical instruction, for as he follows it he soon perceives its relation to facts and laws which he is enabled to verify, and what seemed to him the language of devotion merely, is found to be that of science; but the science is spiritual, for the Great Cause is pure Spirit. Many students must at some time stand where the writer then stood, at the beginning of the way. For all these this correspondence is made public, and they are urged to look within the printed words for their imperishable meaning. They may be cheered to find the footprints of a comrade upon the rugged Path, above which the light of Truth ever shines. Yet even this light is not always a clear splendor. It may seem "in the daytime a cloud, and by night a pillar of fire." We must question every external aspect, even that of Faith itself, for the secret and germ of things lies at their core. Let us purify even our Faith; let us seek Truth herself, and not our preconceptions of Truth. In her mirror we shall never see our own familiar face: that which we see is still ourselves, because our real self is truth. As the Theosophical movement gathers new momentum, fresh recruits may be aided by those letters which so greatly sustained me, or encouraged by some co-partnership of thought, and that, too, in the real issue confronting them. We first take this issue to be the acquirement of occult knowledge. Soon we find that the meaning of all really informed occult writers eludes us. We find that books only serve to remind us of what we knew in the long past, perhaps when "journeying with Deity," and the echoes awakened within us are so faint that they are rarely to be caught. Whether we study philosophies, metaphysics, physics, ethics, harmony, astrology, natural sciences, astralism, magnetism, or what not, we meet with endless contradiction and differentiation; we forever require to strike the balance of our own intuition. We discover that the final word has not yet been written down upon any of the higher subjects (unless it be on mathematics, and scarcely on that), and that all our learning is but a finger-post to that supreme knowledge of Truth which is only found and closely guarded within the human heart. Thrown back upon our inner perceptions for continual readjustment, on every side of experience this warning confronts us: Stand ready to abandon all thou hast learned!